An automobile history of most of the cars I've owned and driven over the last 60 plus years. The 15 primary vehicles were driven close to a million miles and encountered three deer. They lasted an average of ten years each with about .5 accidents per vehicle. Three were labeled as total losses. Only minor injuries were sustained. 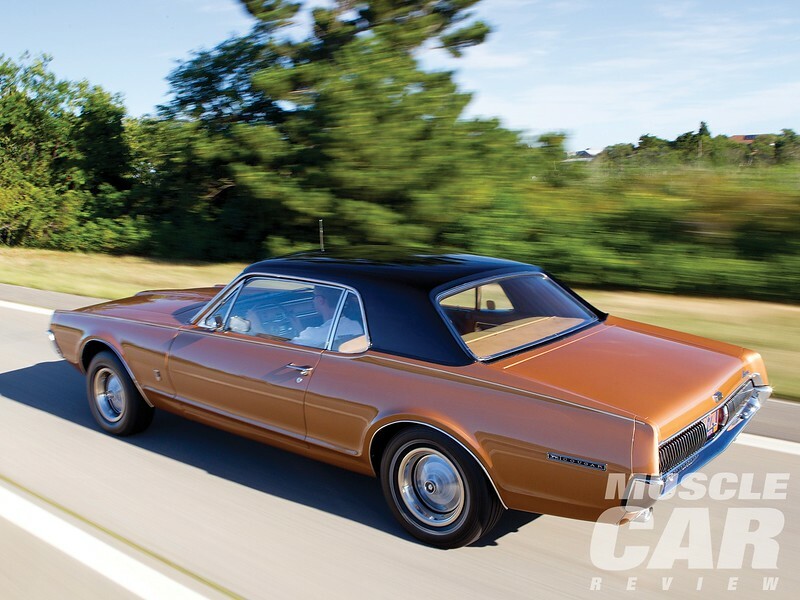 The 67 Cougar, 82 Buick, 90 Lincoln, 2005 Chrysler and 2000 Cadillac all lasted more than 100k mi. I traveled many miles between O'Hare AFB and West Concord/Mpls, MN in 1957-58 with the old straight eight, Silver Streak while courting Marilyn. 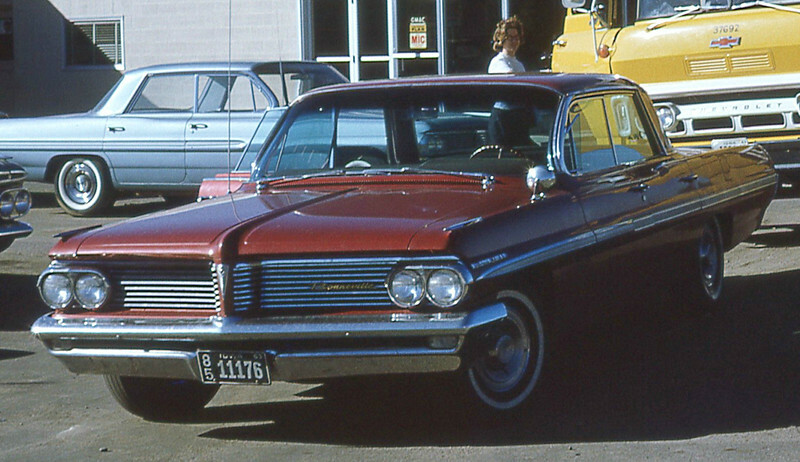 One of several Pontiacs; 1962 Bonneville, 1967 Station Wagon, 1982 Phoenix. I've forgotten the number of miles logged in this beast, but it made almost two trips a month between O'Hare AFB in Chicago and Minnesota. On one occasion I ended up with three flat tires on a Monday morning while driving across the base to work. It seems I had worn the rubber completely off and had driven on the cords the last few miles. A set of cheap re-treads got me back on the road, but one of those blew out on my next trip to Minnesota. 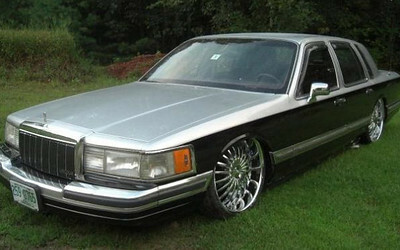 [$400] It was traded up for my new 58 Chevy. 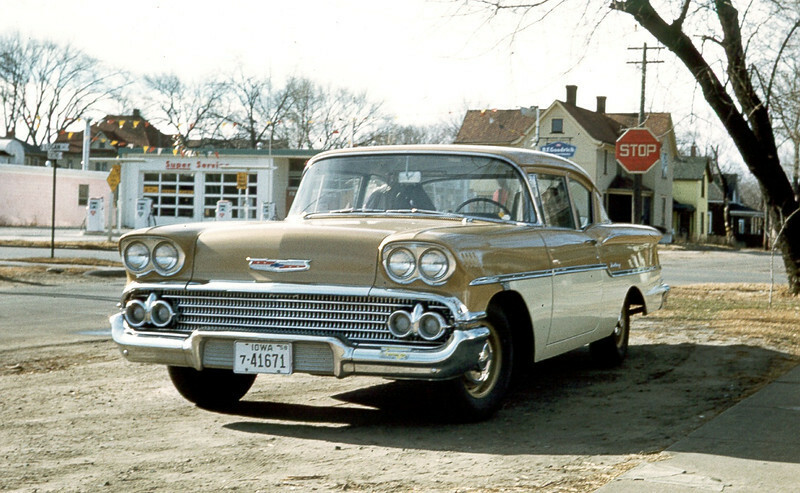 My first new car- 1958 Chevy (under $2000) 80K miles -It was Mom's daily commuter to Owatonna while I was overseas in Japan during 1959-1960. It had no extras and no power aided anything. There was an AM radio. It was traded in for a Pontiac Bonneville in 1962 - my 1st car was a 1951 Pontiac Silver Streak (straight 8)- Seven new vehicles were purchased during my lifespan from 1958-1982. Since 1982 all vehicles have been slightly used. 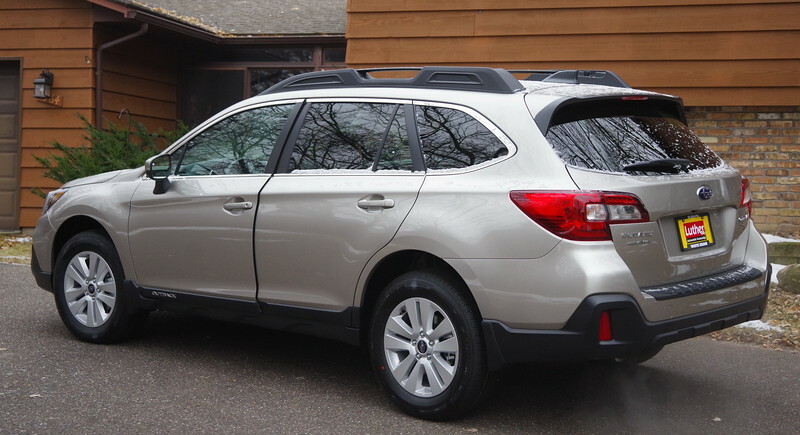 (Chestnut & Logan Ave) Update; we just added a 2019 Subaru Outback to our collection. My biggest failure of a car. An oil burner even after an extensive (self) overhaul. After valves, rings and a cam shaft I sold it. 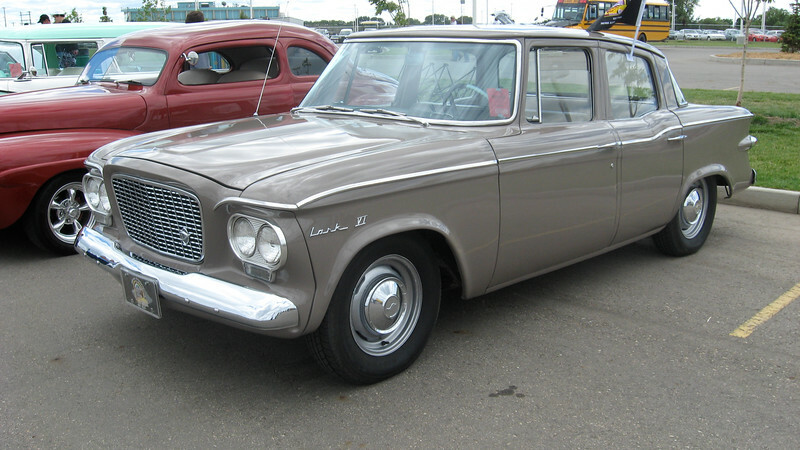 The one and only Studebaker Lark? No road accidents, it was a natural disaster. Bought new and drove for about 13 years - this is a facsimile - it had mechanical, sequentially flashing tail lights - Brian drove it for a couple of years as well in the 80's. Mine was repainted(red) after a couple of years when the paint started peeling. The engine was still running well, but the body rusted away. The roof on mine was textured leather. 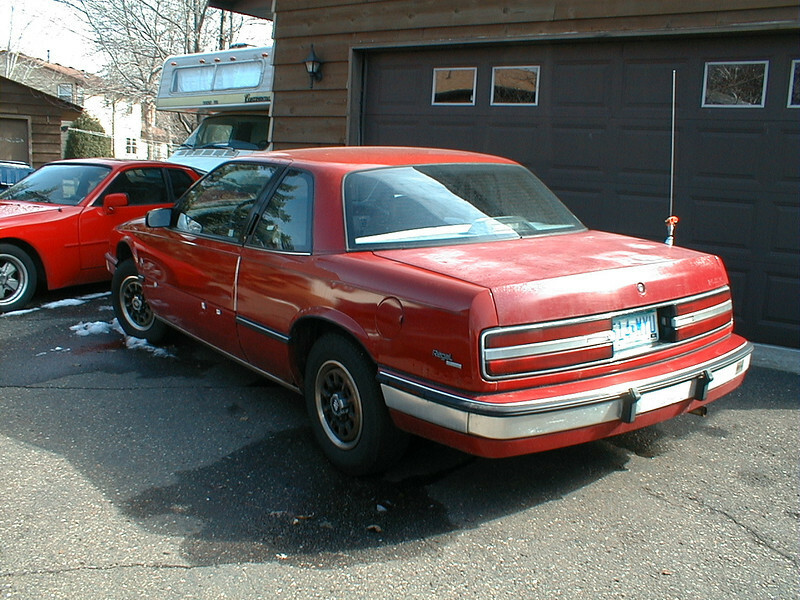 1st of four Ford products; 1967 Mercury Cougar, 1979 Ford Van, 1990 Lincoln Towncar, 1991 Ford T-bird. It was sold around 198? 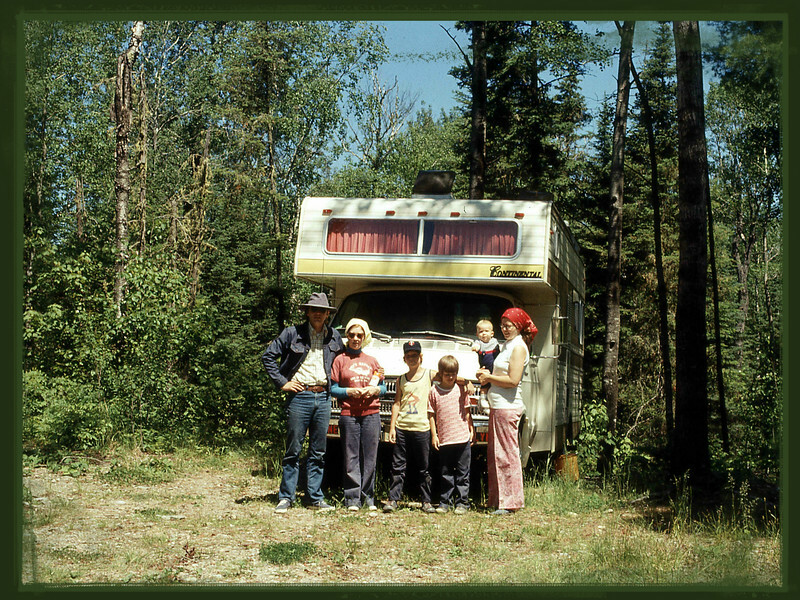 after we acquired the 1979 Ford van. No major road trips were attempted in this car with three boys. No road accidents in over 130k miles. 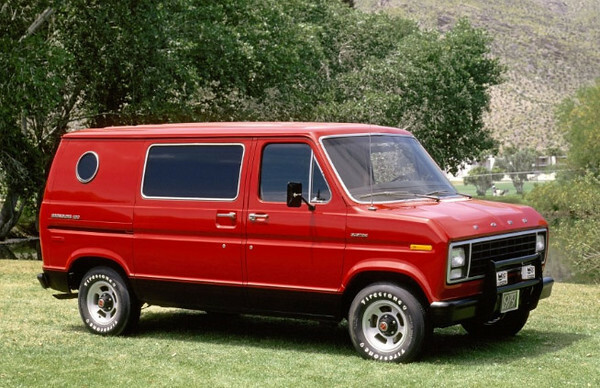 Another facsimile- no porthole on mine, but it was red with a partial conversion package (seats and windows). Toronto, New Orleans, North Shore - one of three Ford products - all of which were good runners. It did not provide much heat for Minnesota winters, however. I kept cardboard in front of the radiator. 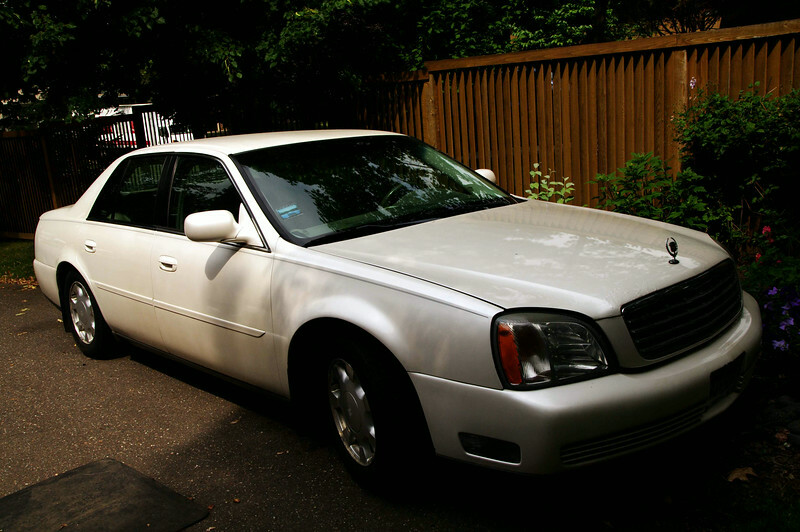 In the 80s and 90s we also rented vehicles (Town cars/Cadillacs) for longer trips. I t made one trip to Toronto and another to New Orleans, but was mostly used in Minnesota with no incidents. 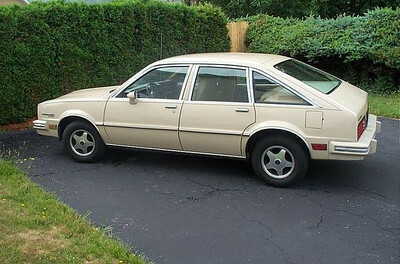 1988 Buick in its later years- it was a recycled Avis rental car. Brett's 84 Porsche is in the background. All succeeding vehicles have been slightly or mostly used. 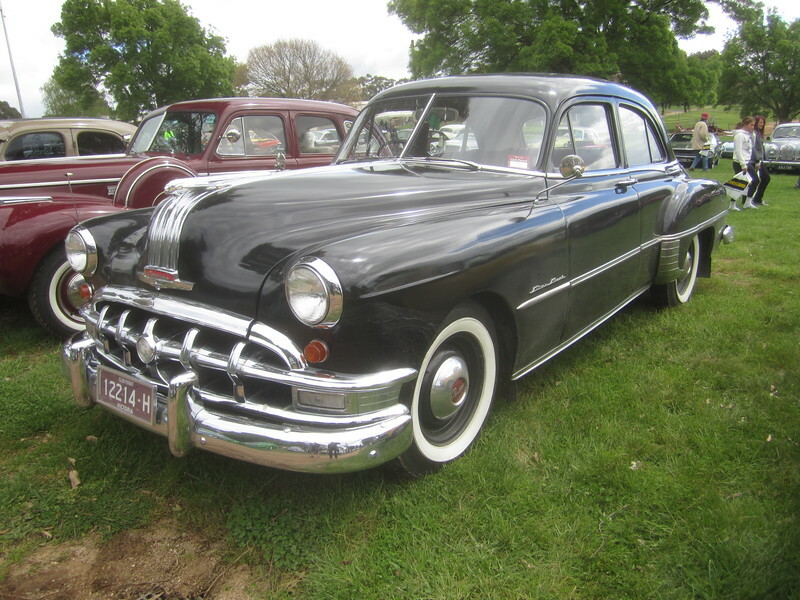 Our one and only Buick was strictly a commuter vehicle for getting to work. One deer incident on a late Tuesday night and a parking lot crash with Krista at the end of its life. My travel car from ~1996-2002 until it reached about 220k miles. Note the older we get the bigger the cars (comfort is important). It made trips to Branson, Wisconsin and the North Shore. This was not mine, but is the same style & color. Ours was accident free. Marilyn's pride and joy was purchased just slightly used (< 30k mi) - this is another facsimile. It was likely sold about the time we acquired the 2002 GMC Van. One deer incident and one pickup collision on the way to work . 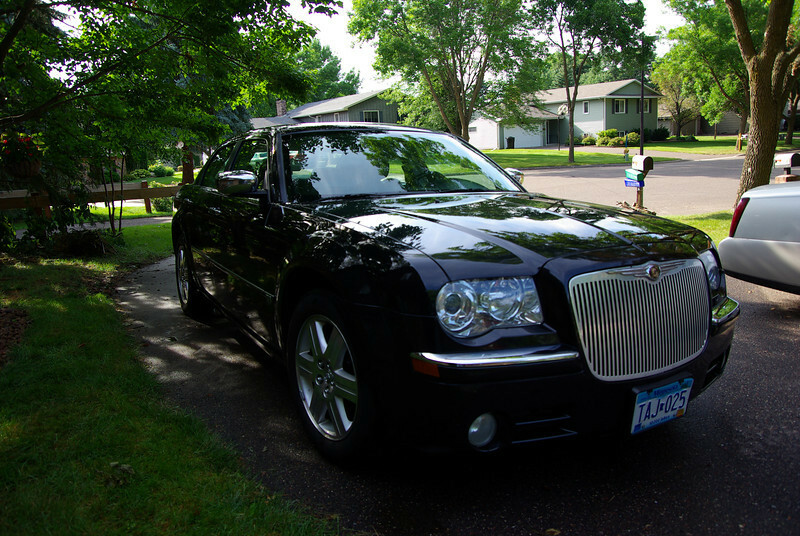 Its at 202k now and up for sale - its been basically idle since we acquired the Chrysler in 2011. 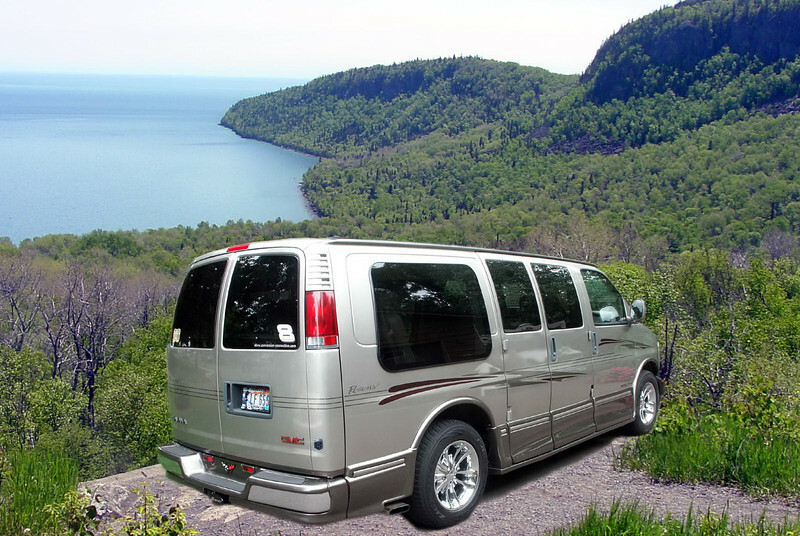 Several of our extended trips were taken in this vehicle to New England in 2002, Branson multiple times , Michigan and up north quite often. One minor fender bender at the grocery store which led to the uncovering of the original PINK. Our Van looks good up north and most everywhere it travels. Its stored during the winters and used strictly for road trips. New England has been toured about three times, Colorado several times, Arizona, North Carolina and parts of Canada also. It accomodates four persons quite well and is a great road vehicle. In 2017 we lost a tire in West Virginia and collided with a deer in Missouri, but have otherwise had very pleasant, accident free travels. Visits to Missouri, Wisconsin & Colorado - now at 150k in 2019. Accident free! Its now ready for recycling. 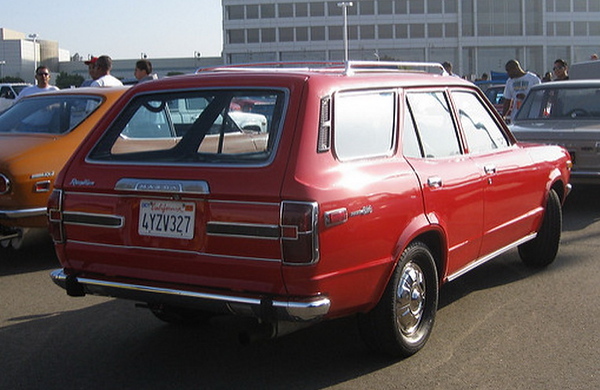 2019 Subaru Outback - 1st new car since 1982 and likely the last one- The chronology; 1958 Chevy Del Ray, 1962 Pontiac Bonneville, 1967 Mercury Cougar, 1974 Mazda RX3 wagon, 1973 Dodge Van Mini-home, 1979 Ford Econoline Van, 1982 Pontiac Phoenix. Where the Subaru goes remains open.